In the last entry in our series of the favorite transactions of ACI brokers and agents we discussed the intricacies of utilizing 1031 tax deferred exchanges as an effective tool for reaching financial independence. For today’s article we will be moving backwards in time to 1985 when ACI Senior Associate Norm Root used a cold call as the jumping off point to optimize a client’s portfolio. His perspective buyer owned 16 units in City Heights which they were maintaining at a modest pace. Norm however saw potential in nearby markets. “After finding them on a cold call I convinced them to take a look at how they could use their equity to move from a City Heights location to the more valuable neighborhood of North Park” Norm recalls when asked about his first interactions with the potential buyer. Generally speaking the idea of moving into a larger building in a more expensive neighborhood can be seen as a risky move. “[That is why] more often than not people trade up into larger buildings in the same area” Norm explained, “when you improve areas the cash flow tends to go down fairly significantly because you are taking on more debt due to the more expensive location.” However, when speaking with his potential buyer, Norm had already planned out a strategy that would mitigate the higher cost. 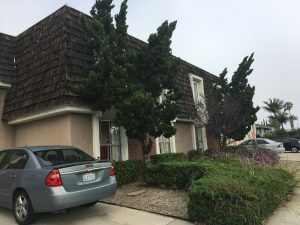 “I convinced the owner of the 16 units that the appreciation potential in North Park exceeded the temporary loss of cash flow allowing us to move forward”. Once again, a 1031 Tax Deferred Exchange was strategized by Norm; a process in which he immediately engaged with a potential seller in the size category, unit mix, and the price his buyer was seeking. “There are inherent benefits in the 1031 where the capital gains tax that otherwise would have been paid is deferred when buying a replacement “like kind” property” Norm explained, “In this particular case the goal was to improve locations thus the exchange was the best fit over a refinance.” Norm further explained that the process of refinancing and then purchasing is another option, if owner’s like where they currently are and how their building is performing. Brokers don’t often make the client aware of the refinance option because they lose out on a commission. Norm ended up exchanging the 16 unit to a 24 unit condo-quality apartment complex off Mississippi in North Park. At time of sale, the property had a Capitalization Rate of 8.0% and a Gross Multiplier of 8.2. Norm says he learned a lot from the transaction, and over 30 years later sees the uniqueness of the transaction’s size. 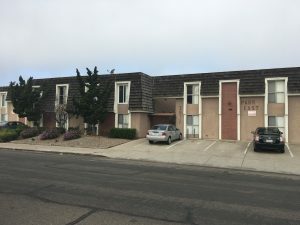 “There are not many properties in the 20-30 unit category in San Diego. As a “Mom and Pop” type town the majority of apartment buildings are in the 5-15 unit range”. He later added that current investors could learn from the transaction as well. “I would try to get the City Heights owner to be open to “any” better area that they could afford including La Mesa, better areas of El Cajon, Normal Heights, Hillcrest, and similar locations”.